These four emails are drastically underutilized for customer retention. Here’s how you can fix that. There’s a magical land that exists for software and subscription-based businesses. It’s a land of gold, really, because it is here that the people are all cheery, everyone is productive, and the townspeople all get along with the appointed officials. This land is called Beyond Conversion. Many people believe there is nothing beyond Conversion. If you aren’t a Game of Thrones fan, lemme catch you up. Beyond the Wall is a generic term employed by the people of the Seven Kingdoms to refer to the large area of Westeros that lies north of the Wall. It is the only part of the continent that is not part of the realm, and thus the only place where particular attention is given to the difference between “Westeros” (the continent), and “the Seven Kingdoms” (the realm to the south of the Wall ruled by the Iron Throne). It is inhabited by tribes that refer to themselves as the “Free Folk”, known by the people of the Seven Kingdoms as wildlings. The wildlings themselves are not politically unified but consist of numerous and diverse groups. Many are semi-nomadic hunters, due to the impracticality of agriculture in the far north. Some wildlings are little more than savage and primitive raiders, but other groups live in small settled communities and villages. The Free Folk sometimes refer to these lands as “the real North”, because they are actually located north of the northernmost of the Seven Kingdoms, which is named simply “The North” – and they think it odd to say that “the north” is south of where they live. A typical software approach to customers is to focus on onboarding. Get them to convert. Lock ’em in. But there’s a vast land beyond Conversion. And it’s full of wildlings, er, customers who need you. They’re not unified, hunting for support they don’t know they need, and are often left to their own devices by entire kingdoms of people who wield great power. Except that doesn’t really work out long term. Well, because churn can make or break your business. Every founder has the same question: how do we increase conversions and reduce churn? Do I want you to focus on onboarding? 100% yes. Yes, I do. But reducing churn is so much more than onboarding. I also want you to leave some brain space for retention. I mean, why onboard all of those customers so perfectly if you aren’t going to put in the effort to keep them around for the long haul? In SaaS, it’s deadly to overlook your retention strategy. Now, you know I collect a digital ton of emails for my email onboarding tear down series. So when I went on the hunt for a company with some decent retention emails I figured it would be easy. Just a quick flip through my onboarding email folders and, bam!, I’ll have a handful of examples in mere minutes. So I went looking through the emails of the services I pay for (or have paid for in the past). This fruit must be picked, my friend. One of the most confusing things for many founders is figuring out the difference between onboarding and retention. Onboarding: the messages you send to customers who are experiencing your product for the first time. These messages are meant to support your trialing customers and help them feel confident enough to convert to being a paying customer. Retention? Well, that’s everything that comes after that. But I’d argue that your onboarding should be taking care of the first two phases. If your customers aren’t using the product more than once and even establishing a pattern of usage during the pre-conversion period, you either need better onboarding or you’ve yet to find product-market fit. So if better onboarding can help phase one and two of retention, we need to talk about what you can do to impact phase three: long-term retention. The probability of selling to a new prospect is 5-20%. The probability of selling to an existing customer is 60-70%. So when you launch a new, compatible product or add a new feature to a higher pricing plan, your existing customers are 40% easier to sell those things to. Do you want your job to be 40% easier? Now, when I look back at the retention emails I got from Teachable, they were top notch… for a few months. But then they stop about three months in. Three months, my friend, is not long-term. 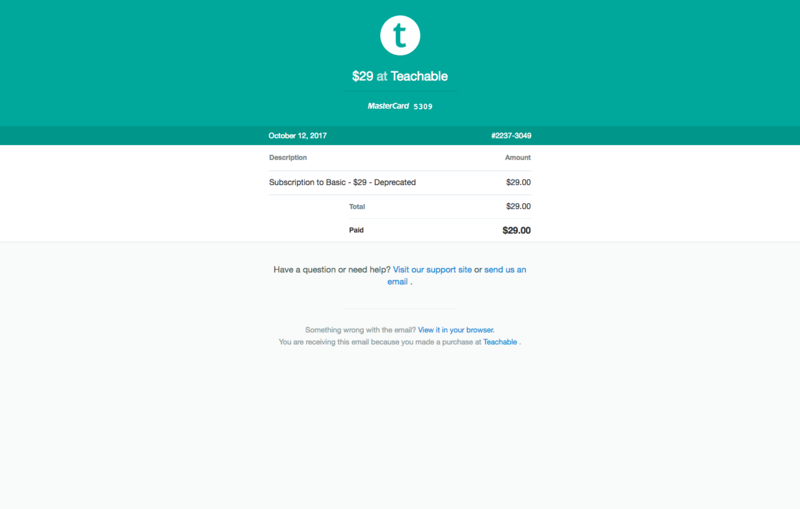 Yes, when I became a new customer I was added to the Teachable Blog email list as well so I continued to get those emails. But that does not a retention plan make. You cannot rely on your monthly/bi-weekly/weekly/daily blog post to keep me using your app. Content marketing is a valuable piece of the puzzle but it’s difficult to measure the true ROI of content. And content is traditionally considered to be at the very top of the funnel in marketing. Meaning it’s not designed to keep existing customers around but the purpose behind content marketing is to attract new potential customers. Note that I said “potential”, not just “new customers”, since content is a long-term investment and should not be expected to convert on first click but that’s a whole other rant, m’kay? So how does a company start to think about retention emails? 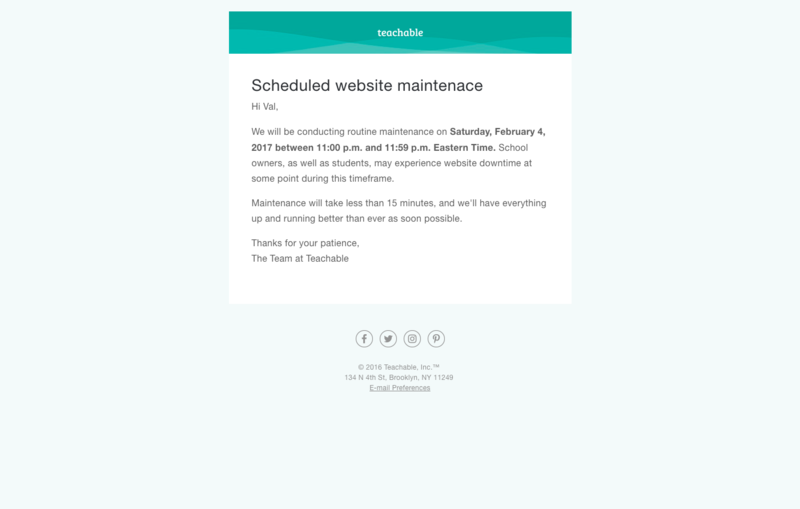 Teachable had a great start in those early months with emails about events like a summit and a course they offered about courses (their niche and pretty meta, tbh). And those emails should continue to go out. Relaunch a course. Update it with new material. Host joint-venture webinars that are purely educational. Run an interview series and encourage your customers to submit their own stories. Retention emails are focused on what the customer wants, not what you need to tell them. This is where I have your back. Keep reading. You know those occasions where you have to tell your customers something? Maybe these kinds of emails are the only emails you’re sending to your customers right now. Like emails about a new feature, a receipt, or an important announcement. While I’m not advocating that you pull focus from your main message, I am advocating for considering why a customer should care when you send these types of emails. So we’re gonna look at four types of emails the Teachable team sent me over time and see how they could be transformed into retention powerhouses. Every now and again, you have to take your app offline for a bit to get things running more smoothly. Running a global business means that someone somewhere is going to be interrupted when you do this, no matter when you do it. So you want to be sure you tell your customers when you plan to be shut down and for exactly how long. Yep. Nice and polite. Full of exactly as much info as I might need as a customer and really easy to delete and forget about .03 seconds later. But what if you use those emails to engage with your customer? What if you can get them interacting with your app from those system-related emails? Launching your course this weekend? This is your invite to skip the Saturday night work sesh and log in now to wrap up your sales page. Quick – here’s some swipe copy to send your students so they have a heads up in case they love to burn the midnight oil with their coursework. Tell them to go ahead and log in now to grab the materials they’ll need come Saturday night! Building in actionable items for your customers (and their customers if they interact with your platform too!) can create further stickiness. And answering questions they didn’t know they had? Well that saves you from future support tickets, helps them know that to do with this information, and keeps everyone on the up and up. No one likes a failed payment but it happens. I was with Teachable when the new chip cards were coming out and my bank issued those new cards complete with new numbers. So all of my pre-saved payments started failing. Yay. It’s awesome that Issabelle here doesn’t assume anything about why my payment failed, I’m just being contacted about it so I can take action. But you want to punch up these emails with retention-related goodies, right? After all, a failed payment is a clear indicator that this person might be cancelling. 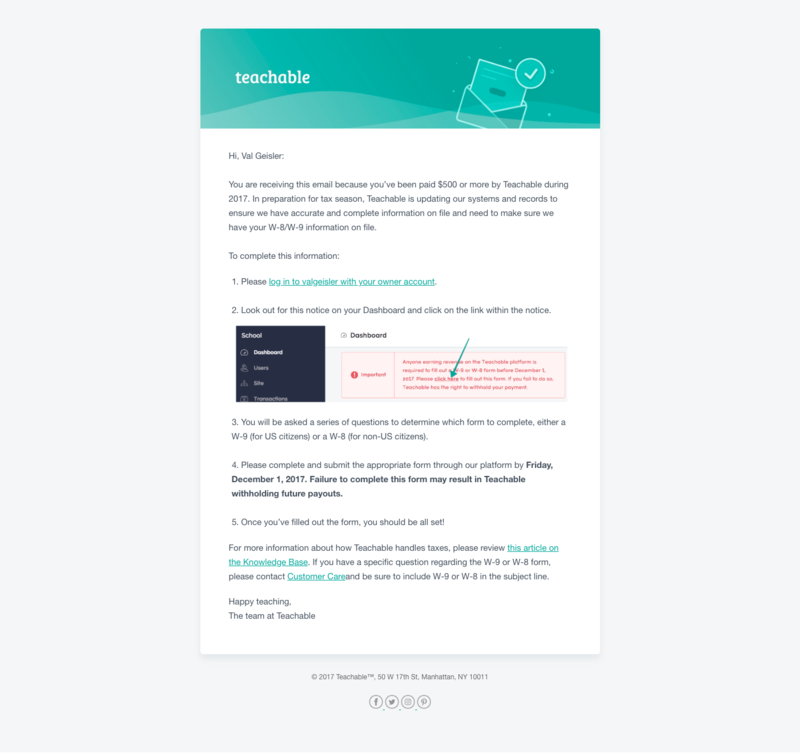 In fact, since I hadn’t received retention emails from Teachable for a while at this point, I was in the process of vetting an alternative course platform when I got this email. Your customers will choose the path of least resistance every single time. So why not be the one paving that easy-road for them? Use the failed payment receipt to share content from a recent webinar or show off some powerful case studies. Remind them why they started paying you in the first place. Show them how this monthly payment they’ve been making can pay for itself. Teach them how they can get the support they need when they need it. Remember: they don’t know what they don’t know. It’s your job to tell them and earn their dollars back before they run off to your competition. If your platform pays your customers you have a HUGE opportunity to celebrate them and remind them that, to you, they’re more than just another customer. But what if they did something like this? Adding personalized details like exact dollars paid out is a giant win for an email like this one. Showing it visually with a graph is even cooler. Imagine if you’re a customer and you get an email saying that in the previous year you were paid out $17,532.00 and, PS, you only spent a total of $290 on the software that helped you do it. Ah, the payment receipt. That thing you need to send that wayyyyyy too many companies do absolutely nothing with. If you’re straight up pulling data from Stripe and sending it their way, you’re doing it wrong. 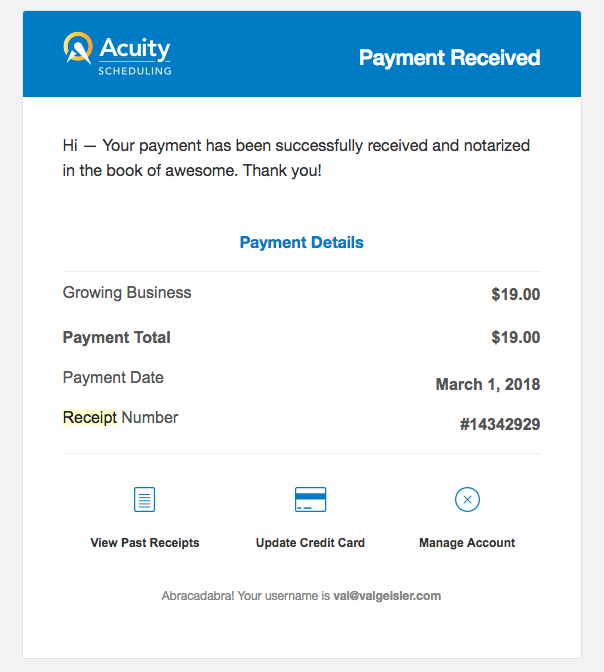 Receipts are a monthly reminder to your customers that they’re paying you. Don’t you want it to be an experience that reminds them why they’re doing that? You have soooo many opportunities to re-engage your customers. Even your most active customers need to know that you care about them as humans. 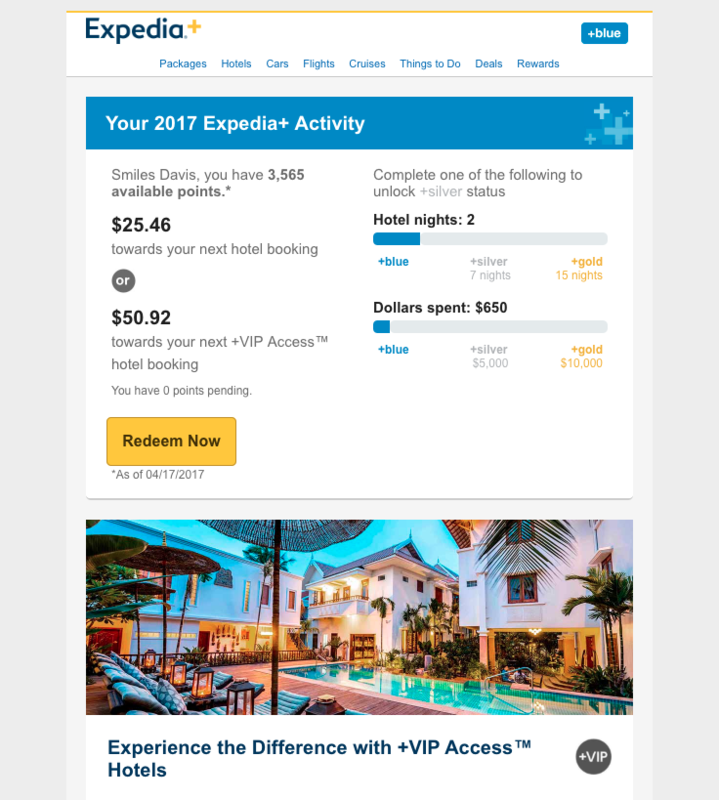 Adding retention elements to otherwise boring emails gives you an opportunity to connect with your customers when they’d otherwise be running toward that delete button. Every email you send out is a chance to get your users, well, using your app. Don’t waste a single one. Now it’s time to take action. 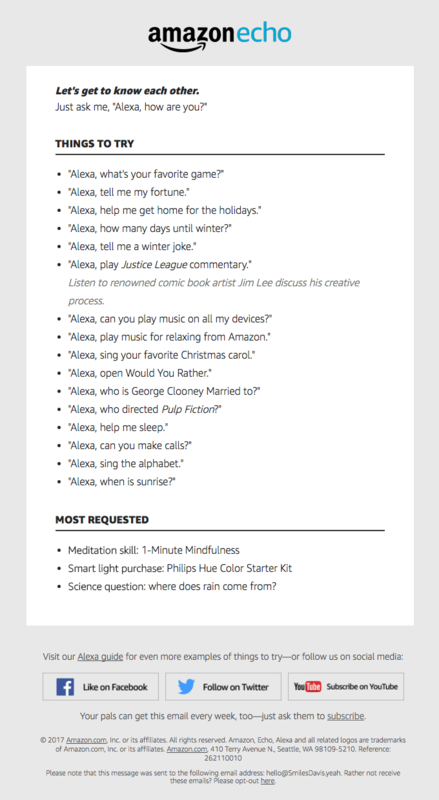 Pick one of those four (or maybe get inspired to choose another ho-hum email you send) and add some retention elements to it. We’ll keep addressing retention as a whole (since there’s so much more than these low-hanging fruit) so start practicing now before we get into the really good stuff here soon. Want more on email marketing? See weekly dissections of real campaigns showing up in inboxes everywhere. Just enter your email below to get emails about emails. Meta.